Gushcloud International has invested into Summer Beauty House, a beauty space which supports beauty creators and communities’ workshops and activities. Together with two other investors, the total investment is worth US$1 million. Marketing has reached out to Gushcloud for additional details. The move marks Gushcloud International’s first move into the beauty space. Through the partnership, the company aims to build the largest beauty creator and community in Indonesia. 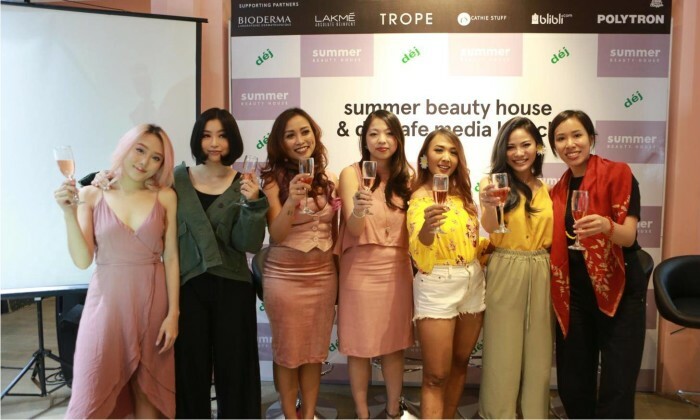 Summer Beauty House will also work with cosmetic brands and makeup artistes to create more experiential workshops and events in Indonesia to further educate the beauty community. It has also launched an internal studios arm called Summer Studios to work with top celebrities to co-create and build beauty-focused YouTube Channels and video content. In addition, Summer Beauty House will also be investing in and co-creating beauty products and lines with top beauty creators and influencers. In Indonesia, it is creating an eye palette with beauty creators such as Cindercella (@cindercella) and Vinna Gracia (@vinnagracia), who hold a collective reach of more than 1 million followers in Indonesia. Althea Lim, co-CEO of Gushcloud International, said in a statement that with the investment into Summer Beauty House, made alongside venture capitalists such as Merah Cipta Media, the company aims to help develop sustainable careers for its beauty influencers and creators. This is by creating personal beauty brands with and for them. “Indonesia is one of our key markets, and we are very excited to be part of this meaning journey with the Summer team, building an impact towards Indonesia. Alongside Summer, we will also be helping global beauty influencers and creators to penetrate the Indonesian market,” Lim said. Kuik Xiaoshi, co-founder and CEO of Summer International, said that through the partnership, the company aims to quickly work with the top global beauty creators and influencers under the Gushcloud roster to invest and co-create more consumer products around them. She added that Indonesia will be its stepping stone as it eyes the China and Latin America markets within the next 18 months. “With the investment from Gushcloud, we believe that Summer will be able to leverage on the key relationships and networks that Gushcloud has built in the various countries. The past year saw Gushcloud International heavily investing in the entertainment and talent industry both locally and globally. On the local front, the company partnered with the Singapore Science Centre to host the annual Visual Playground art tech exhibition at Visual SG, a visualisation festival based in Southeast Asia and more recently, invested in the first theatrical production by Singaporean YouTubers Munah Bagharib and Hirzi Zulkiflie. Most recently, Gushcloud International and YAN Digital entered into a new joint venture called GY Entertainment, to create a new influencer management and marketing company in Vietnam. YAV Digital is the digital arm of YAN Media Group, a youth entertainment multi-media company based in Vietnam. In October last year, Gushcloud International secured a US$3 million funding led by YG Investment, the investment arm under South Korean music label and entertainment agency YG Group. This was to strengthen the group and expand into larger markets within Southeast Asia such as Indonesia, the Philippines and Vietnam. Meanwhile in July 2017, it reorganised its global business into two business groups – Gushcloud Entertainment and Gushcloud Agency. The move saw Ng Siang Hiang assume the role of CEO of Gushcloud Agency, taking over from Lim. Both groups are housed under Gushcloud’s holding company brand Gushcloud International. Earlier in March 2017, it acquired uFluencer Group, a US-based social media talent management agency, representing influencers and beauty content creators globally. The acquisition is 100% and marked the second time the influencer agency was making a move into the US market. Nepomuceno will be in charge of the Arena account management team together with Lawin Bulatao, Arena’s executive creative director..
More here on the account and incumbent. ..